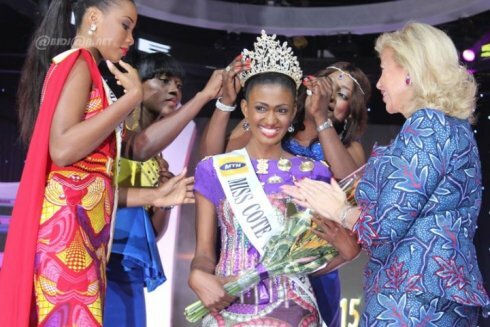 Andréa Kakou N’guessan was crowned Miss Côte d’Ivoire 2015 during a gala that started Saturday night and which dragged on until early Sunday morning, June 7th. The first runner-up is Hyllène Légré and the second runner-up is Alicia Kobénan. Kakou N’guessan will now compete in Miss World 2015 pageant to be held in Sanya, China in December.